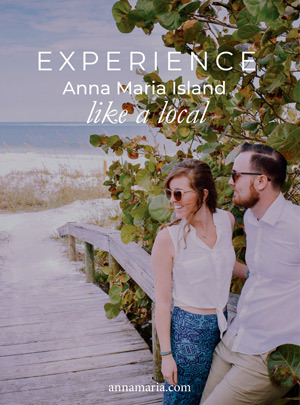 Hoping to pick up the perfect quirky and unique gift or souvenir to show your friends back home during your next vacation to Anna Maria Island? You’ll find plenty of them at Ginny & Jane E’s Café and Gift Store in the City of Anna Maria along with some of the lowest priced yet highest quality bakery breakfast and lunch foods on the island. This café/store hybrid was started by Ginny and Jane E, two sisters each with their own skill sets and specialties. Ginny was known for owning an antique shop in Holmes Beach and was looking to expand her business, while Jane was an expert cook and baker. They decide to launch the restaurant and café in one building, the former historic Old IGA store in the City of Anna Maria which was previously owned by the late and great Ernie Cagnina. Cagnina was one of Anna Maria Island’s longest serving mayors and most influential community reformers who helped shaped the island into what it is today. The sisters both retired in 2009, handing off ownership to Paul and Tammy Foster. The Fosters have a genuine appreciation for the hard work of those who came before them, along with the same commitment to providing service above and beyond what’s asked of them. The café opens early in the morning, making it an ideal place to get your day started with a vast range of delicious made from scratch menu items including bagels with salmon lox, eggs and cheddar sandwiches, meat or veggie breakfast wraps, various omelets, French toast, pancakes, 1 to 3 egg breakfasts, fresh juice, and mimosas. The lunch menu offers just as much variety with homemade soups and salads, Cuban sandwiches, cheesesteak, chicken salad or club sandwiches, beef or chicken reubens, hamburgers, BLTs, Caesar or spinach wraps, and several different smoothies. The bakery is always available throughout the day with the famous daily baked cinnamon buns and a range of other fresh items like pies, scones, quiche, cakes, muffins and more. The café has catered to the dietary preferences of its customers and now offers a range of vegan and gluten free bakery choices. One unique must-try dessert here is the homemade orange ice cream made from freshly squeezed Florida orange juice – a citrusy refreshing treat that you can’t get anywhere else! 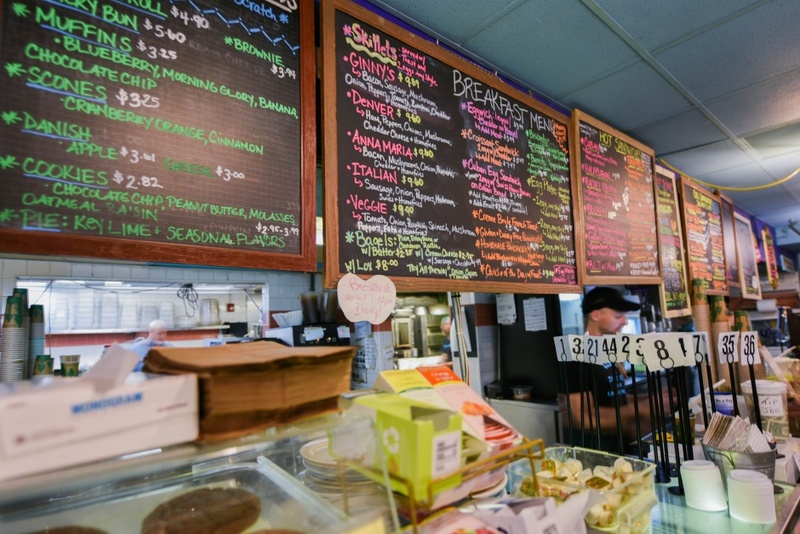 One of the best reasons to visit Ginny & Jane E’s Café is simply because you’ll leave without spending much at all, whether you choose to pick up a gift, eat at the café or both! 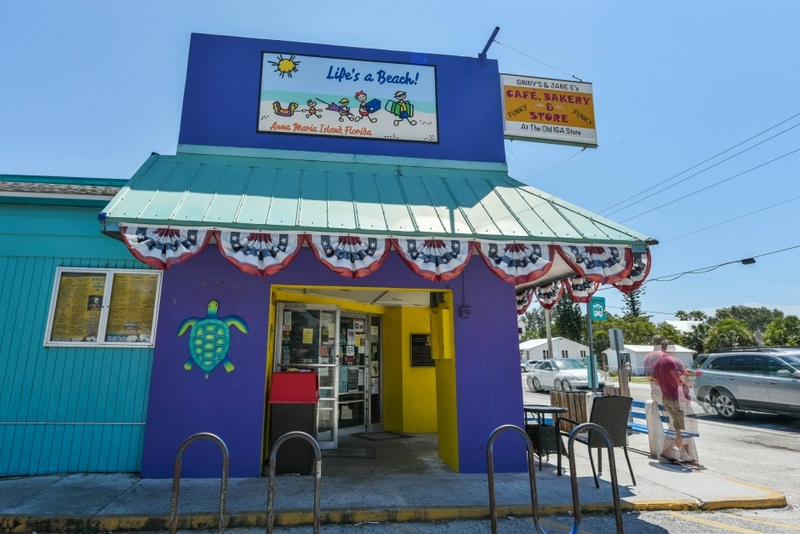 This café and store combo is one of the best places to experience the eccentric, fun and welcoming character that the Anna Maria Island community is famous for. Buy some quirky art, grab a delicious bite to eat and converse with some of the locals at this historic and unique gem!